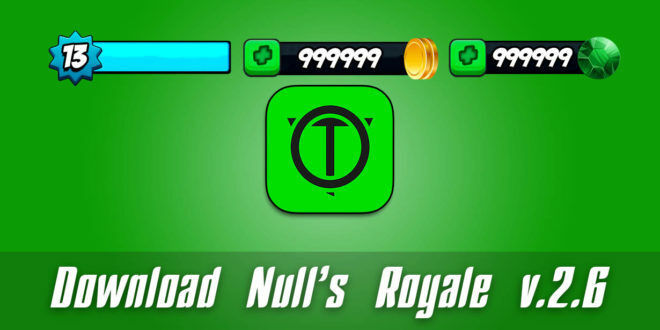 Meet a new version of the Clash Royale private server – Null’s Royale v.2.6! We added 3 new cards, a new arena, and improved the server. This time the update process did not take much of our time because the source data is not much different from version 2.5. It can be said, we practically did not have to change the server source code. Therefore, we immediately announced an update with all the latest features. 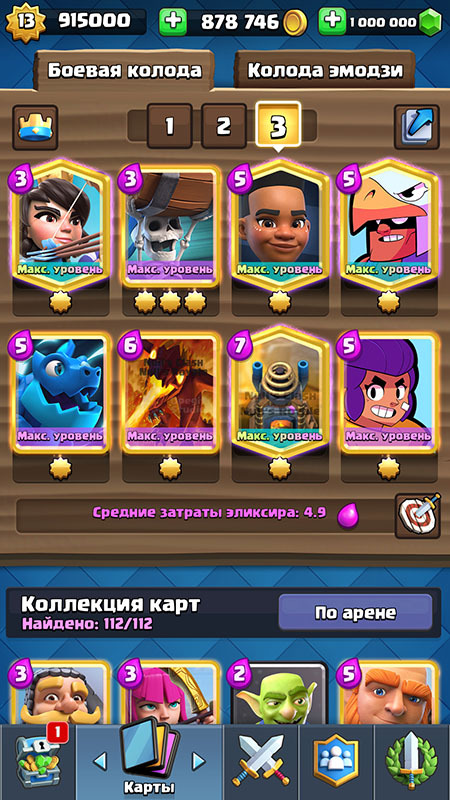 Most recently, we presented a new card “Wall Breakers”, and it is still not available in Clash Royale. We have already eliminated this drawback and have already given you the opportunity to use this card. Also, many players asked us to add seasonal cards. If you do not know, at the time of promotion of the new game, the developers added 2 new cards. They could only be played in the trial, and they would never appear in a regular deck. 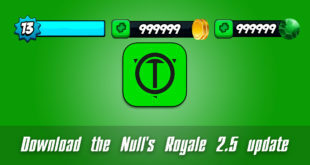 That’s why we listened to our fans and decided to add Bo and Shelly to our server, Null’s Royale 2.6. As promised, we are releasing a new version supporting star levels for modified cards. By rewriting a small part of the code, we managed to apply star skins to our cards. Now you can upgrade any card to the star level. You all know that a new arena appeared in Clash Royale, and we could not pass it by. Having studied the textures and source data, we managed to add it to our server too. 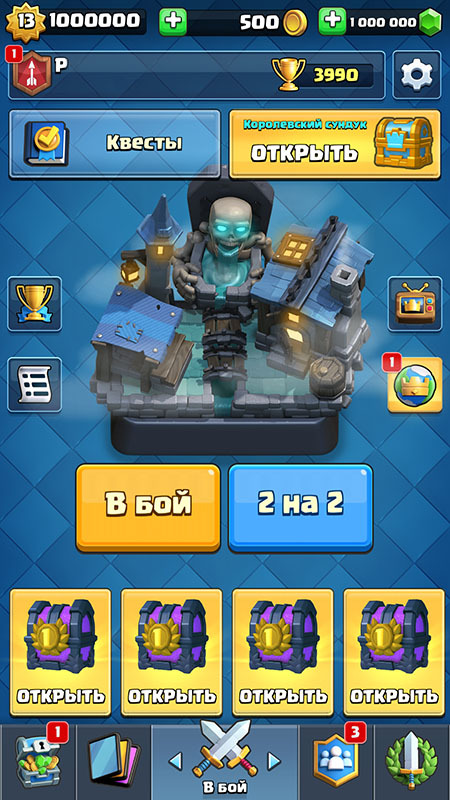 It is called Spooky Town and when you first enter the server, you get 3,600 trophies and a new arena.